She was witty, tempestuous, a Kentucky blueblood; he was brilliant, moody, a farmer's son born in a log-cabin. They got married on a few hours notice in 1842, when he was thirty-three and she was nearly twenty-four. In 1974, the historian Fawn Brodie predicted that a "sensitive study of the Lincoln marriage will not always defy biographers." Until now, it has. The only book-length treatment of the marriage was published in 1953, when scholars lacked today's resources, and were still struggling with deep-seated prejudices about Mary Todd and Abraham Lincoln. 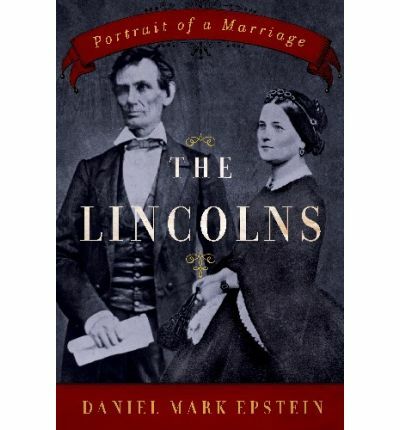 Now Daniel Mark Epstein has produced an incisive and balanced portrait of the Lincolns, from their mysterious and troubled courtship in 1840 until his assassination in Ford's Theatre in 1865. For the first time, in The Lincolns: Portrait of a Marriage we can feel the full force of the tragedy that was the slow crumbling of their marriage, knowing it intimately from the first act to the last.